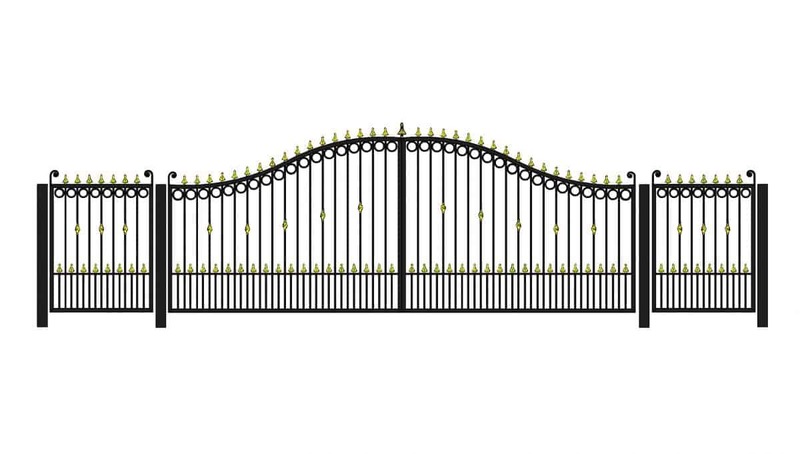 Our range of wrought iron entrance gates and railings are the perfect complement to any home. 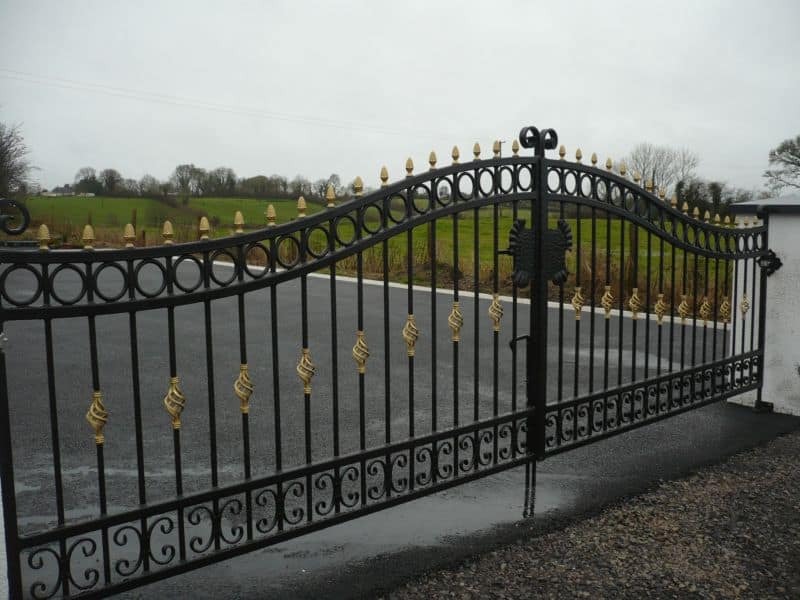 Forged with care by our expert craftsmen, our diverse products each provides instant aesthetic appeal and security while being durable enough to last a lifetime. 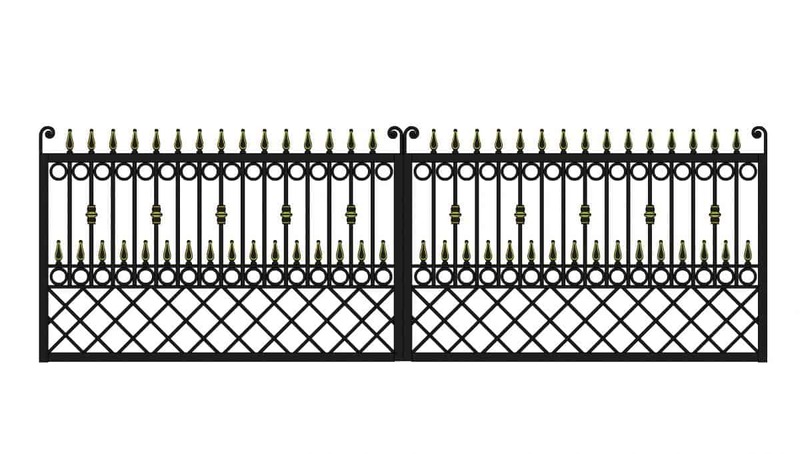 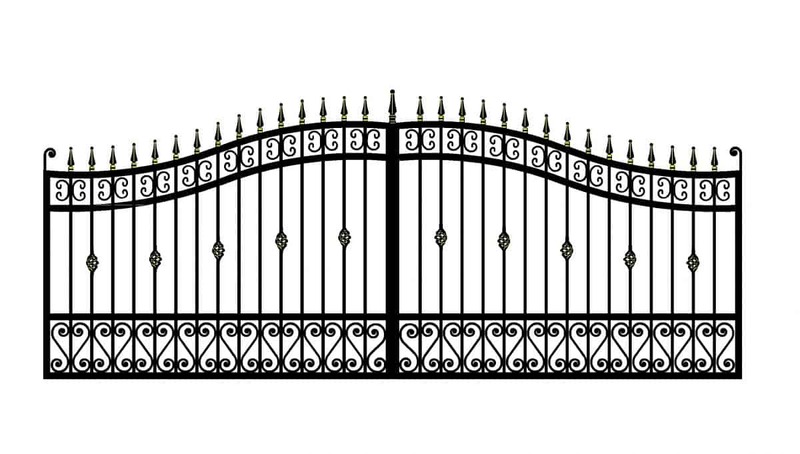 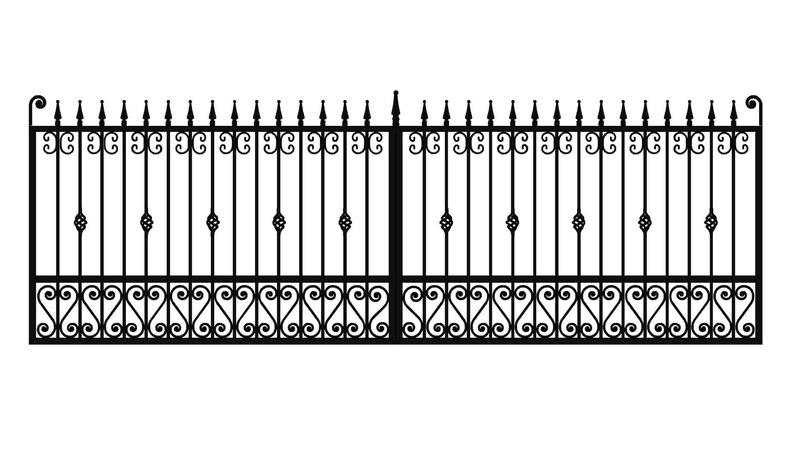 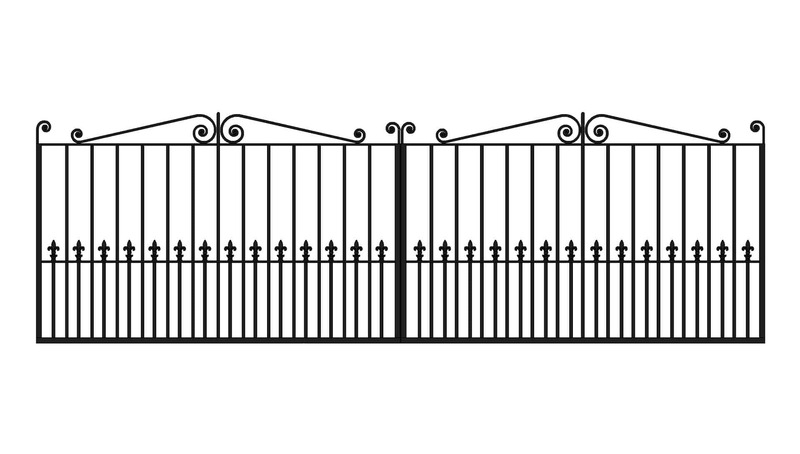 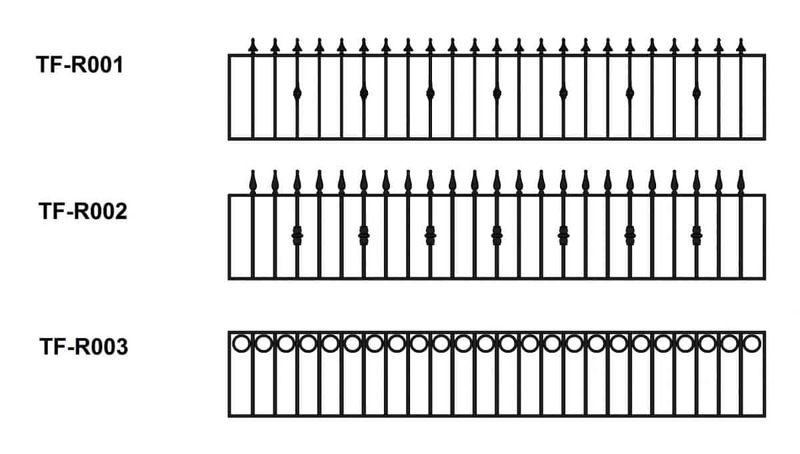 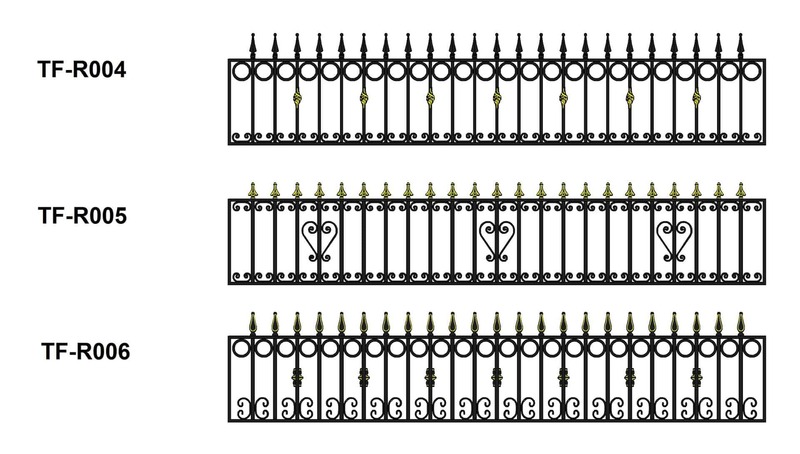 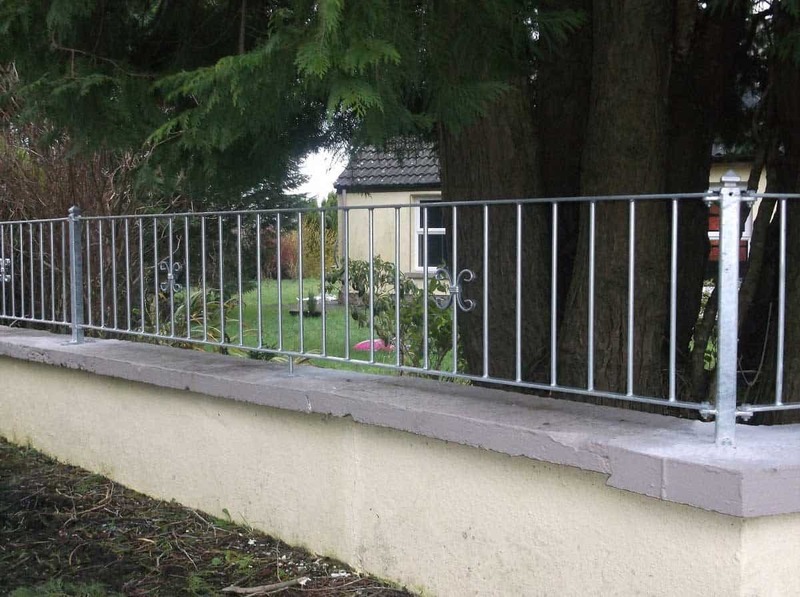 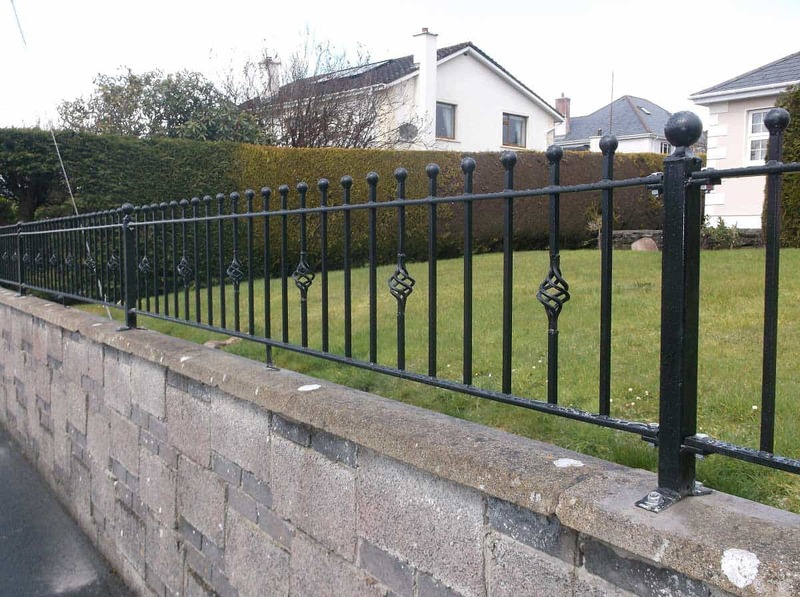 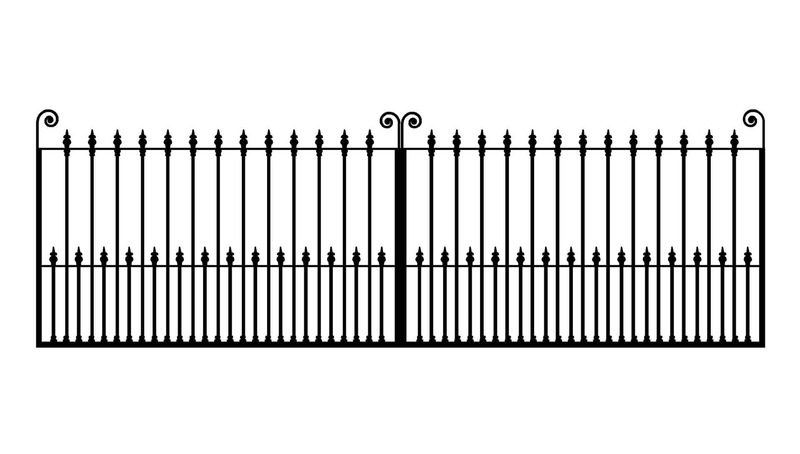 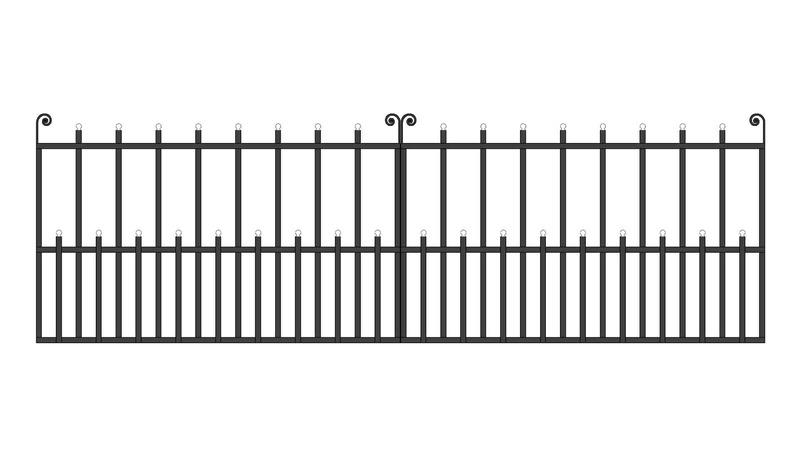 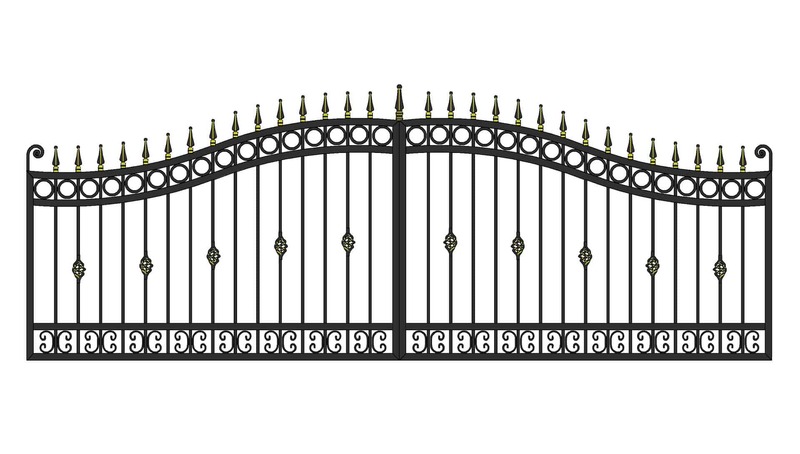 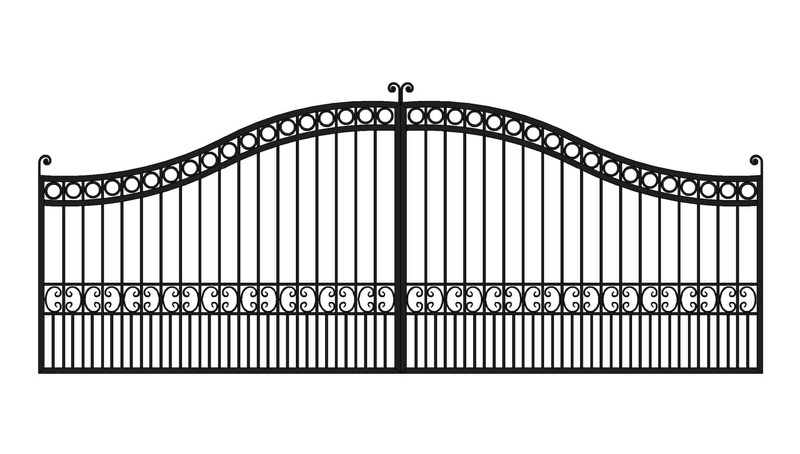 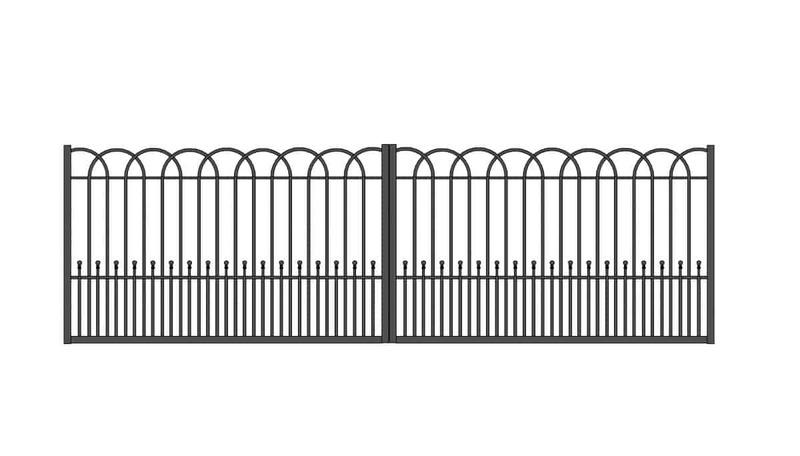 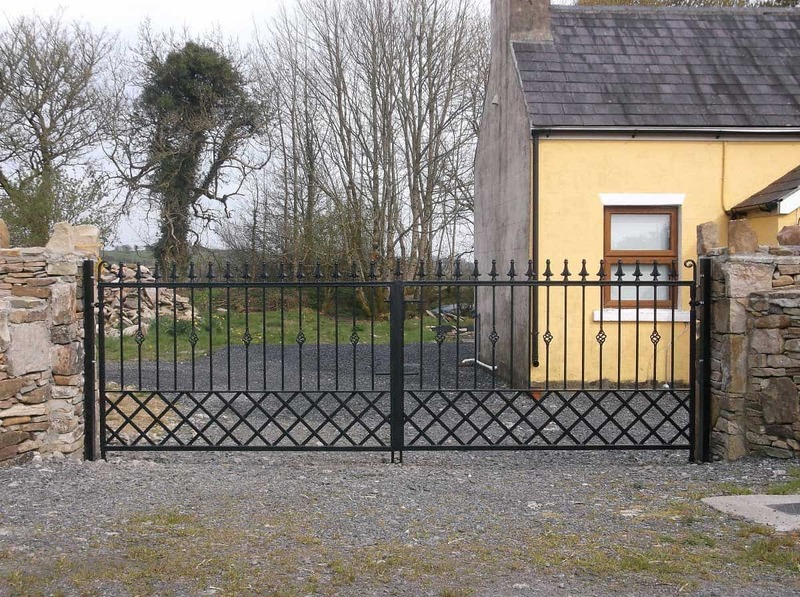 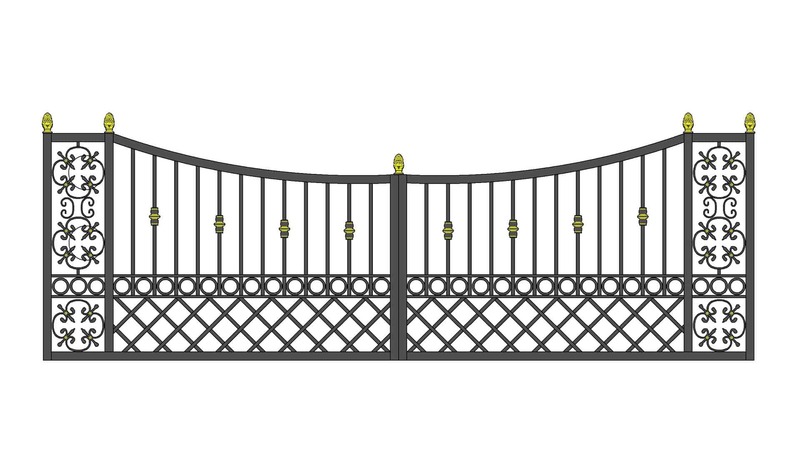 For centuries wrought iron has been recognised as the material of choice for the manufacture of gates and railings. 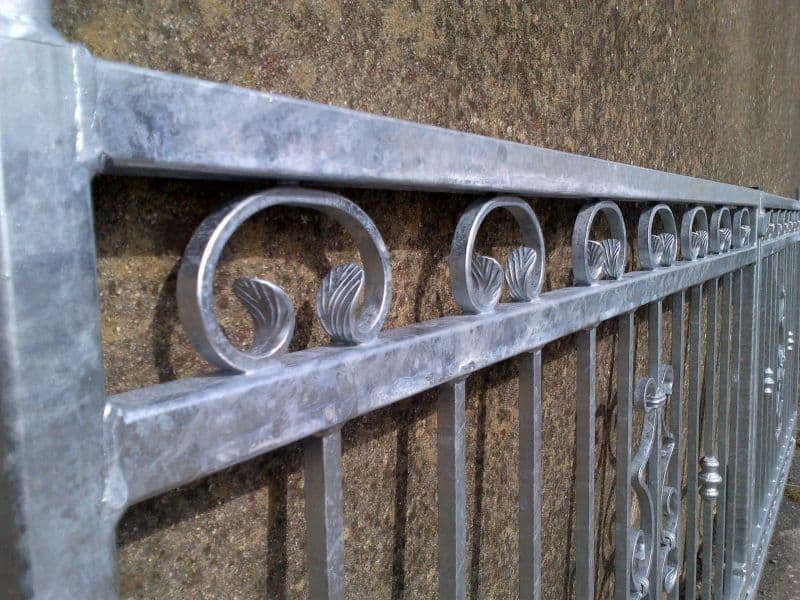 Thanks to its malleable, ductile nature, it’s possible to forge the metal into slender, elegant forms that remain exceptionally strong. 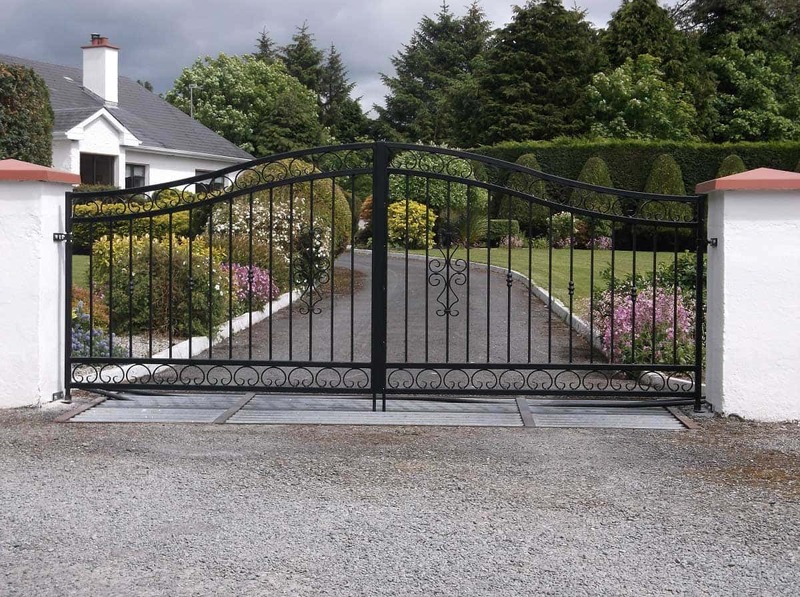 This combination of style and strength is the reason that wrought iron gates grace the entrance to many of the finest stately homes throughout Britain and Ireland. 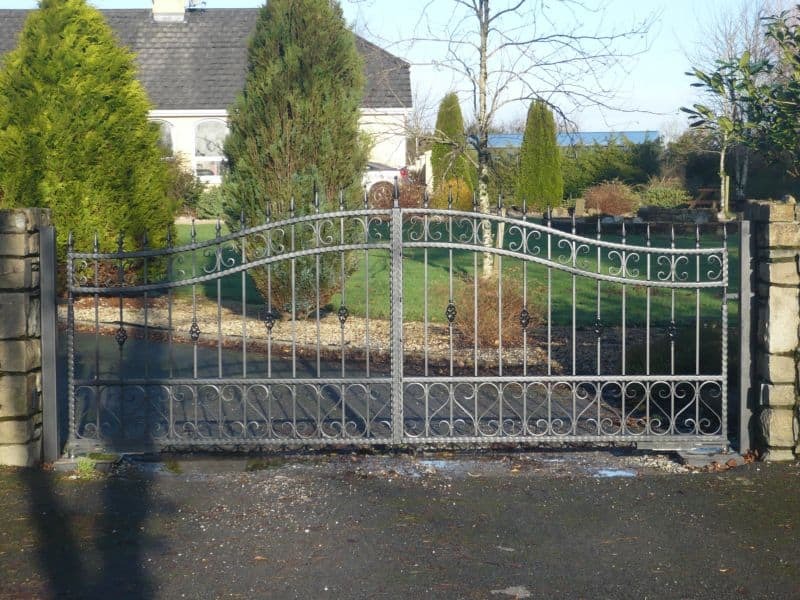 It is necessary to protect the iron from rust – especially given our climate, so we offer a choice of spray-painting, powder-coating and galvanising treatments in order to achieve the exceptional durability you’d expect. 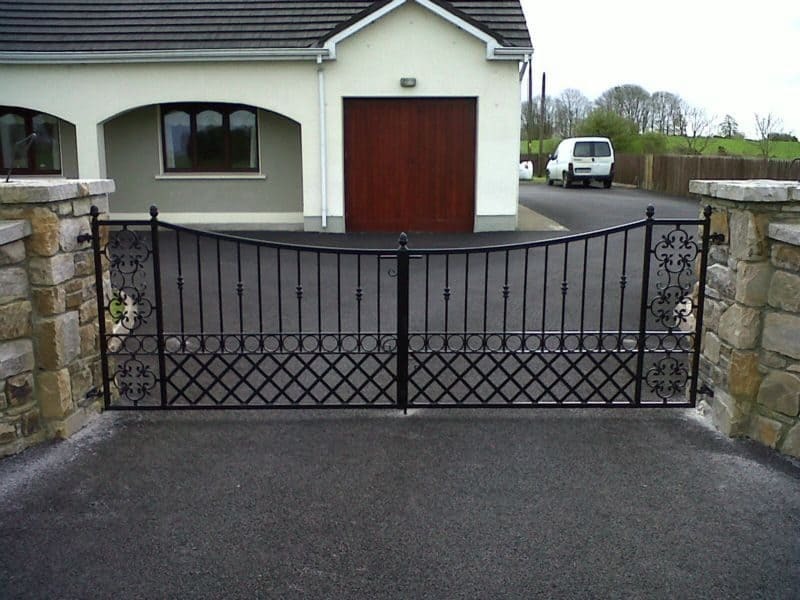 In fact, we’re so confident about the quality of our workmanship that we’re happy to provide a no-rust guarantee. 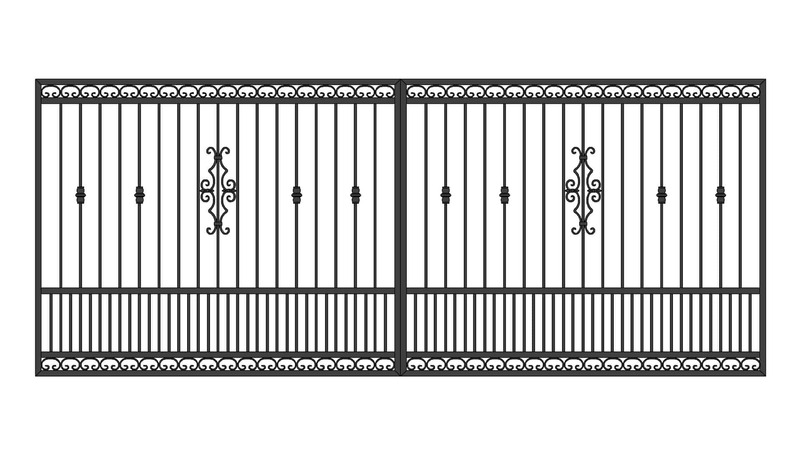 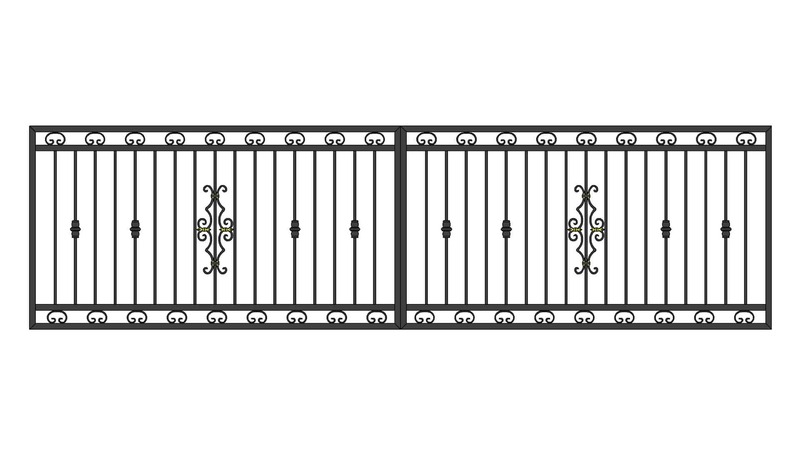 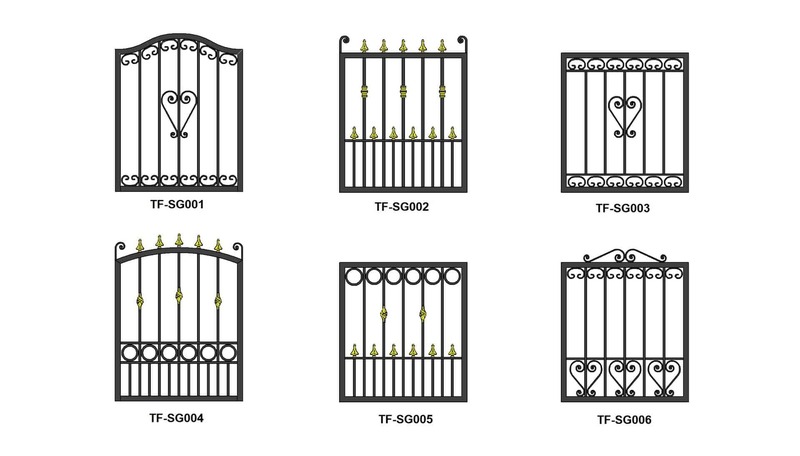 We are offering fantastic deals on entrance gates reference number TF-001. 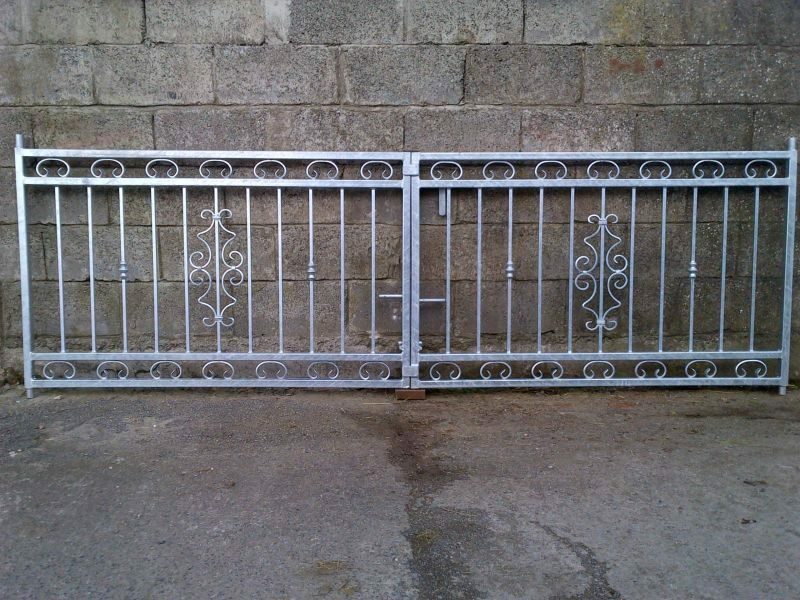 They are fully galvanised and guaranteed not to rust. 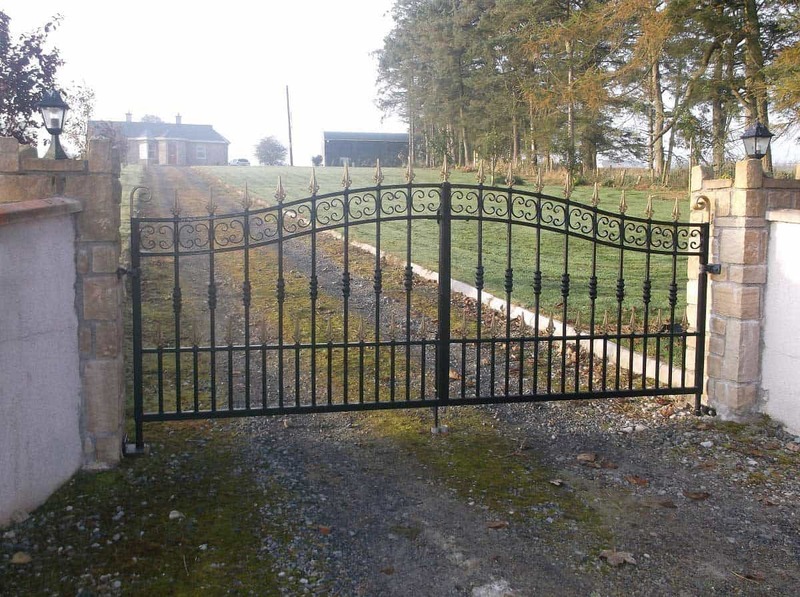 All gates are made to order so we can accommodate any size opening. 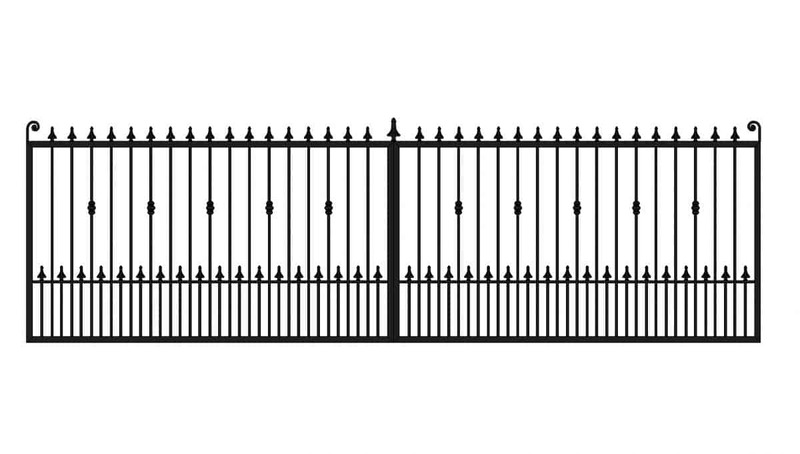 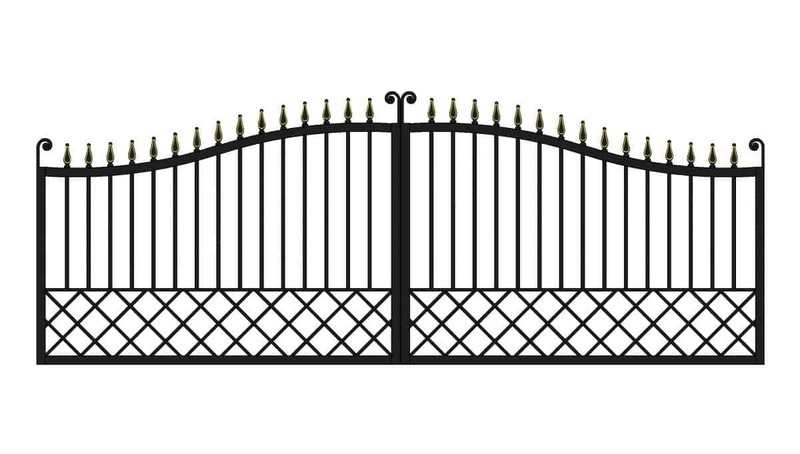 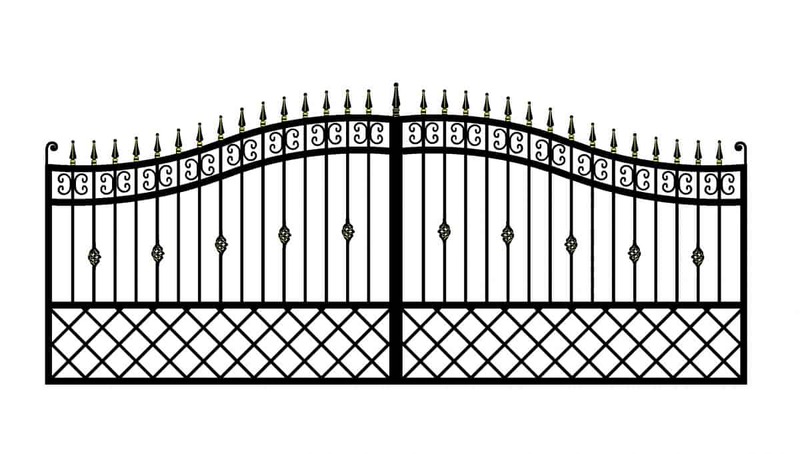 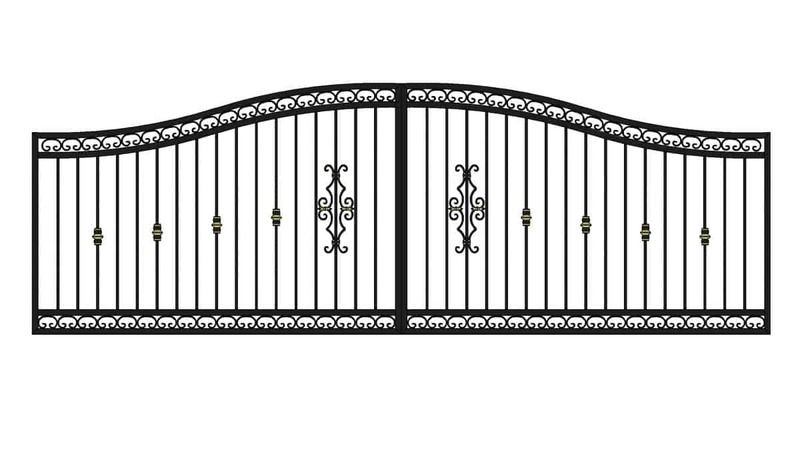 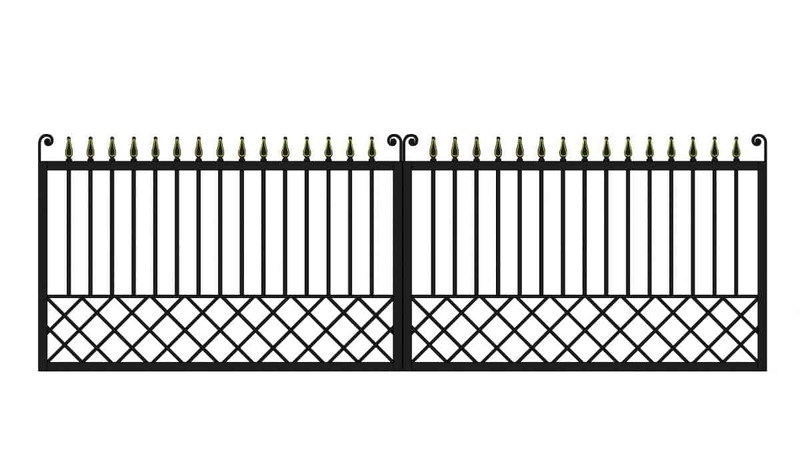 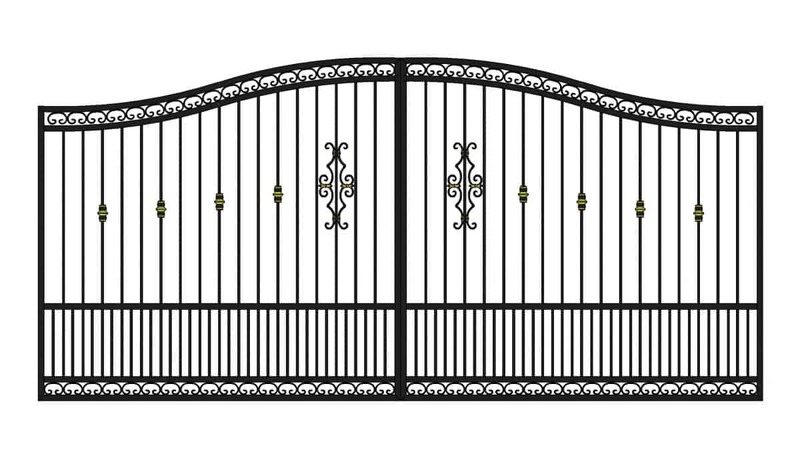 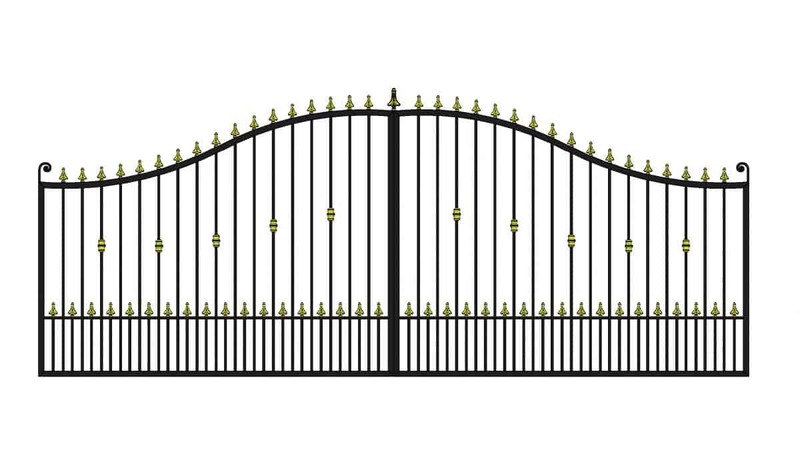 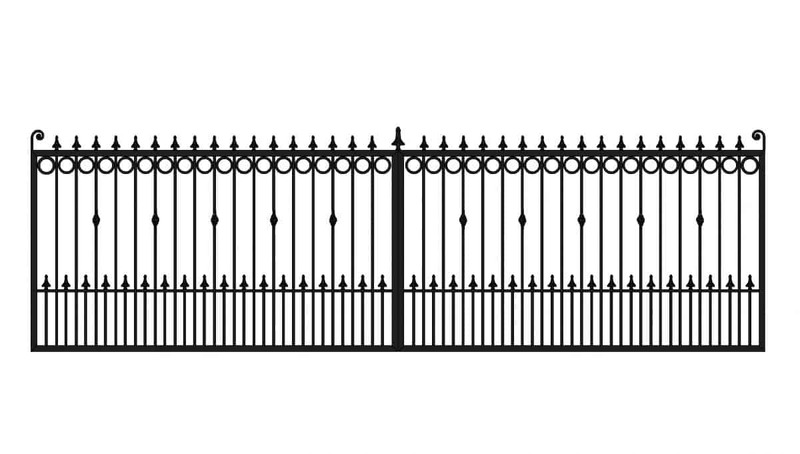 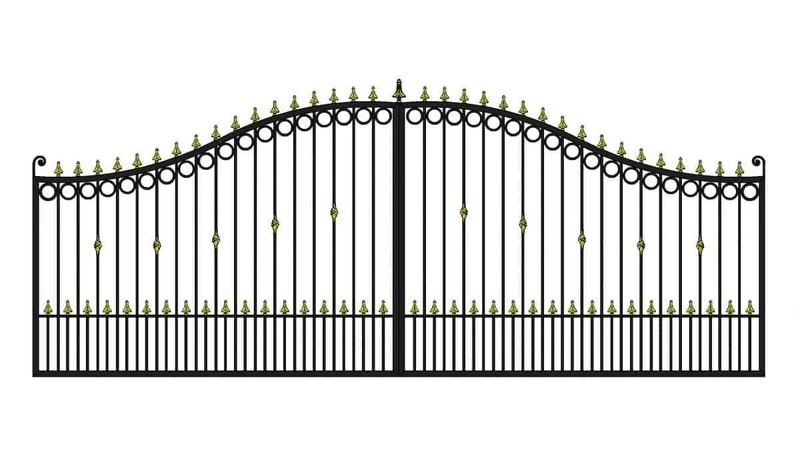 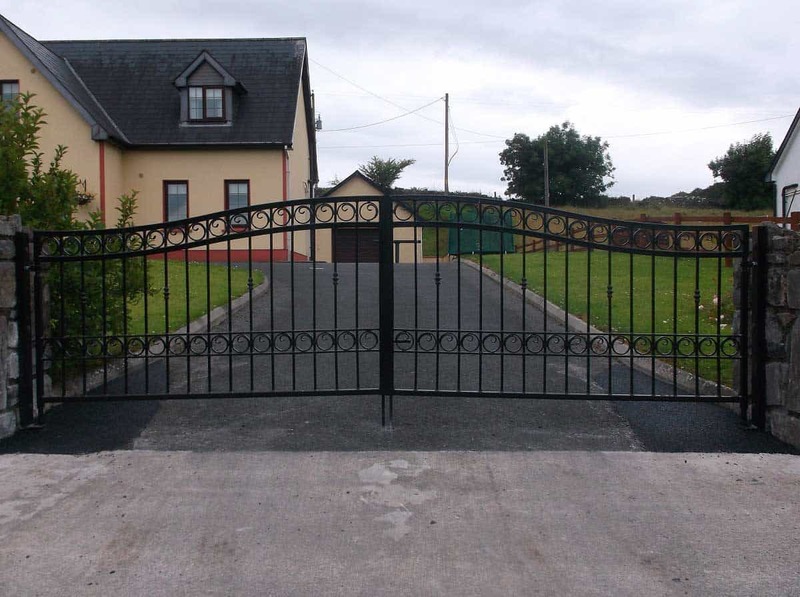 Contact us now to avail of the great deals on our best selling gate and mention the reference number TF-001. 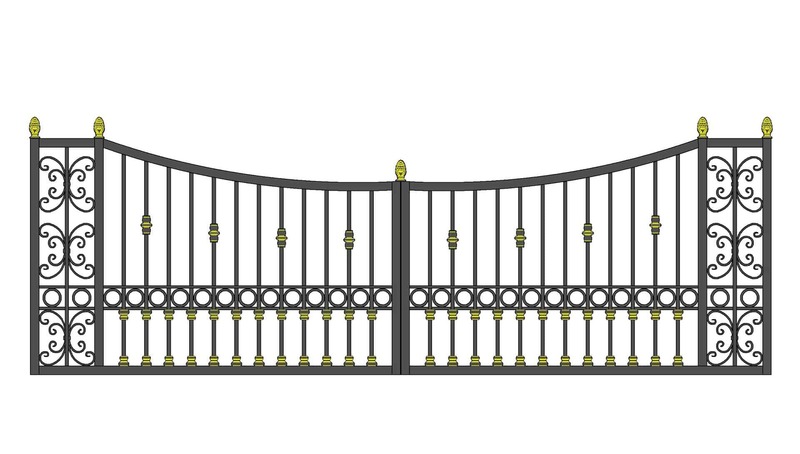 As well as being dedicated to the craft of forging, we’re also passionate about the design process. 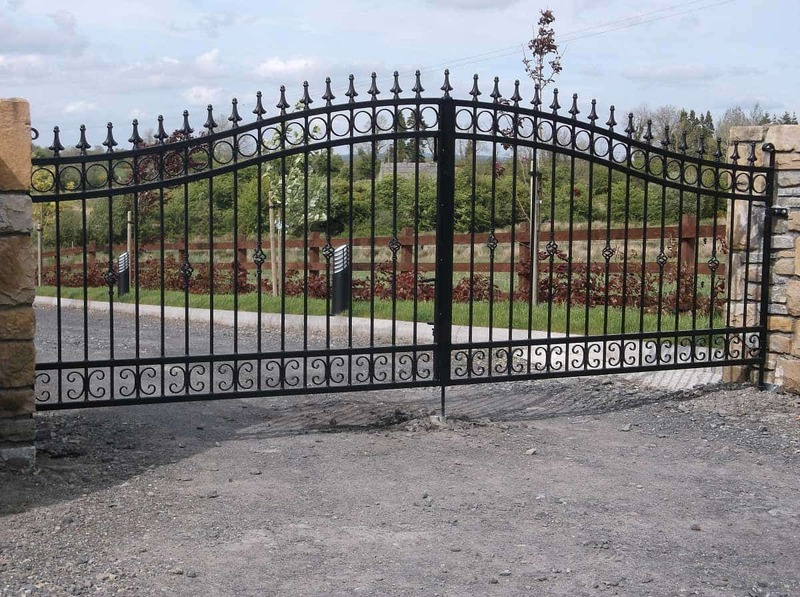 Our diverse range includes entrance gates, railings and smaller-scale garden gates, all in a variety of styles ranging from understated and contemporary, through to ornate and traditional. 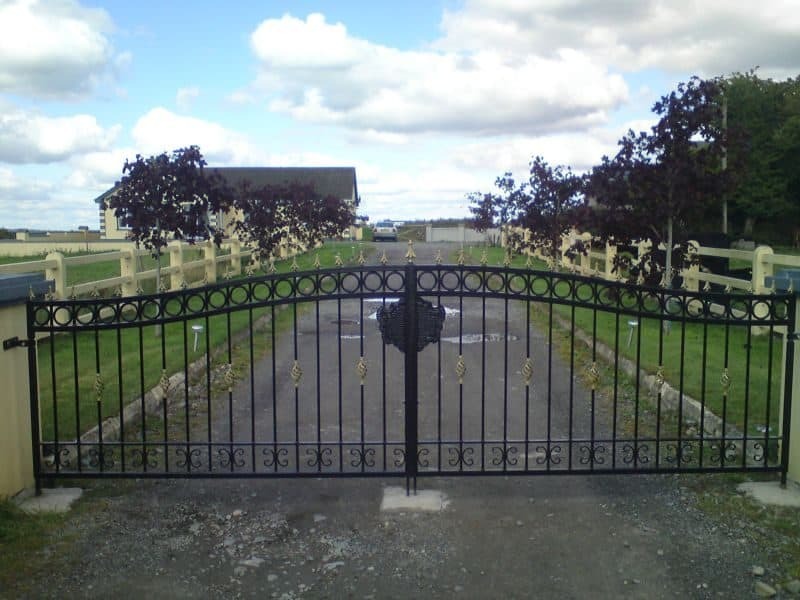 Whether you’re seeking a full-height gate and railings for security, or a half-height option to act as a visually appealing boundary marker, we’re certain to have something to please. 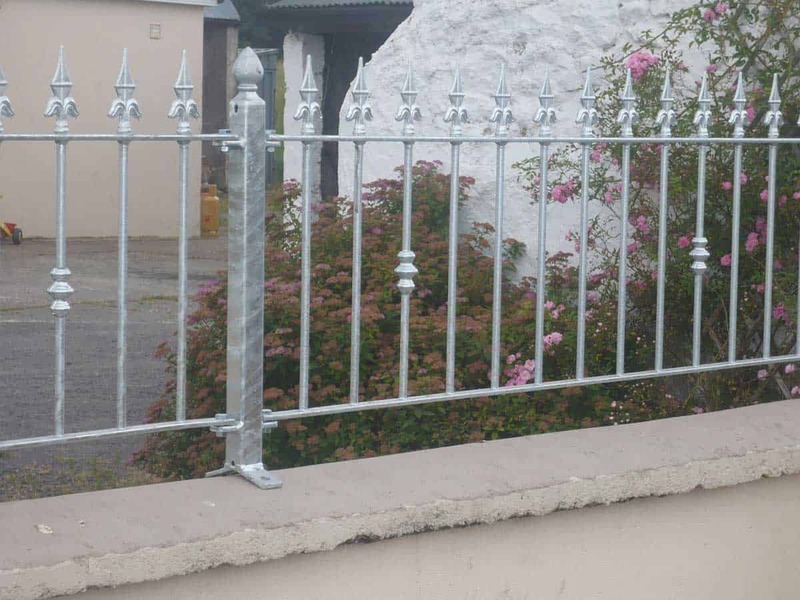 Naturally, our designs can be tailored to fit entrances of any size, and the final appearance can be further customised by choosing from a range of paint colours – or simply by leaving the galvanised metal exposed for a more contemporary look. 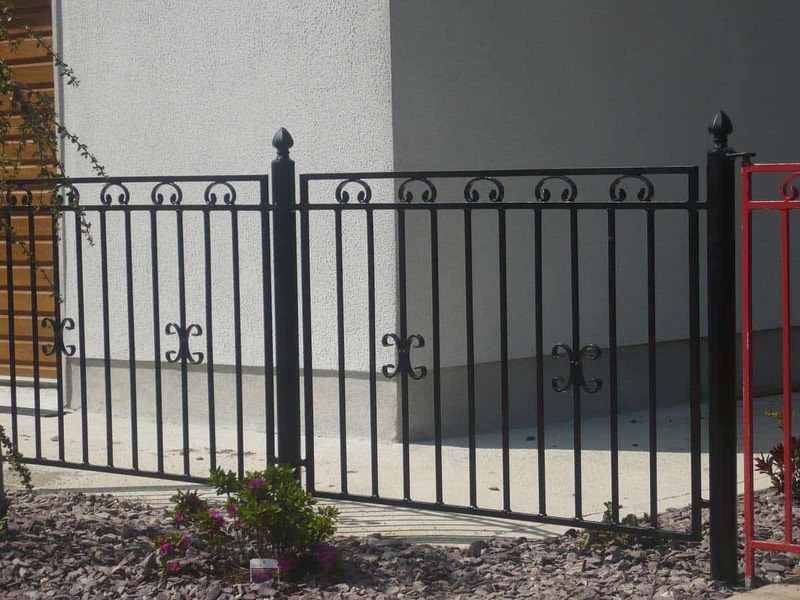 We’re committed to ensuring that our customers have complete peace of mind when ordering from us. 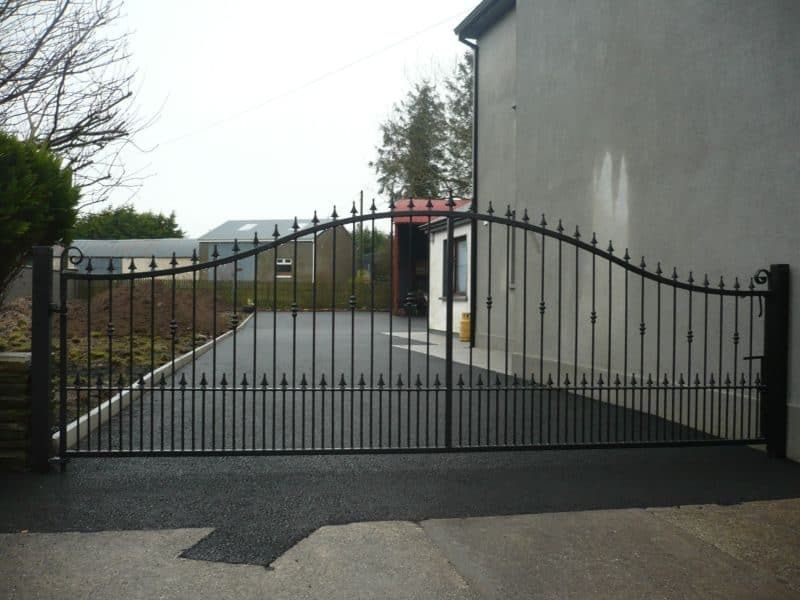 Our service includes a no-obligation site visit and a free quote, while we’ve even developed an innovative gate visualiser – whereby we can create a life-like representation of the appearance of your new gates in situ. 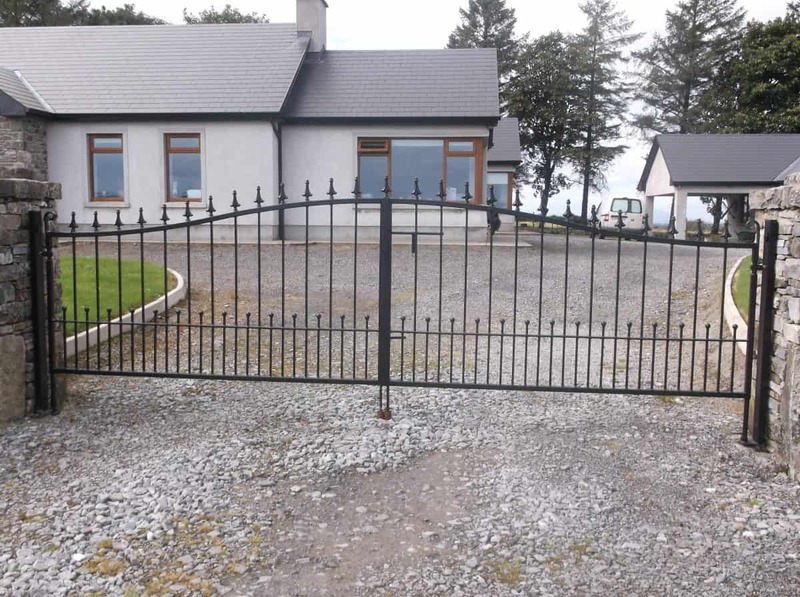 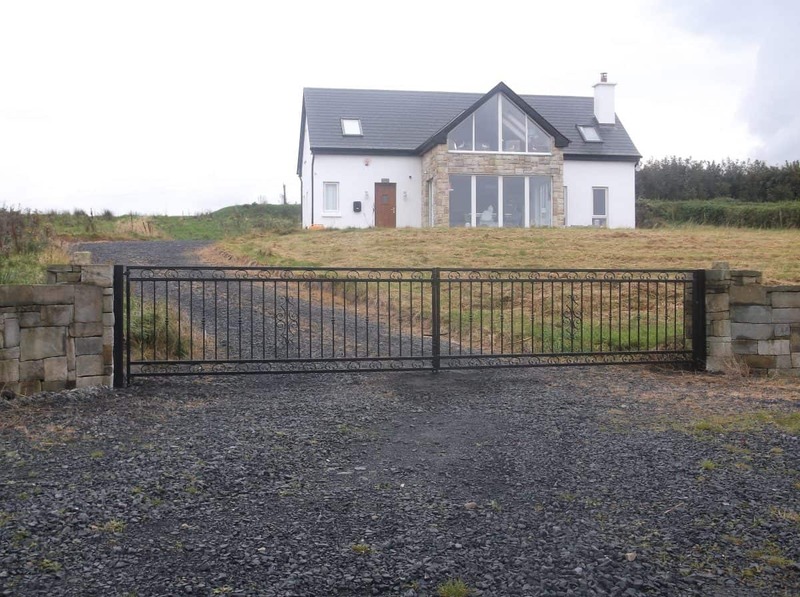 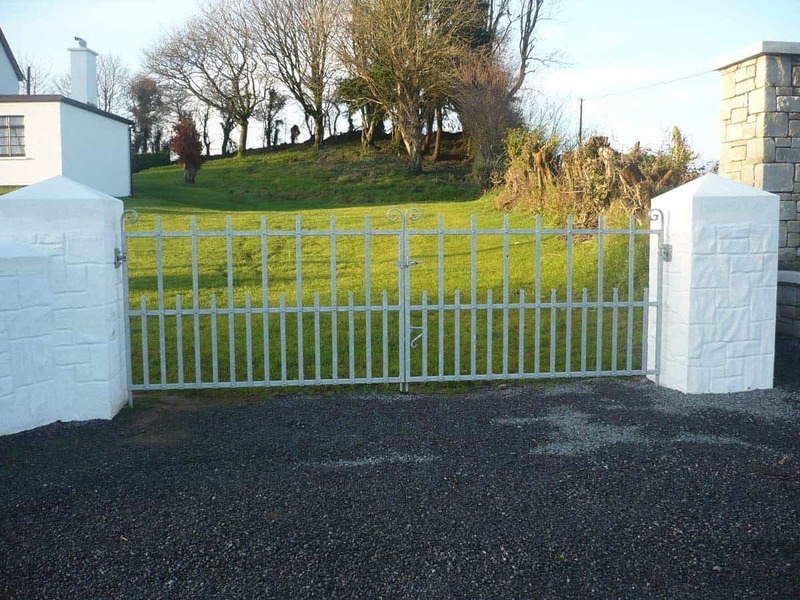 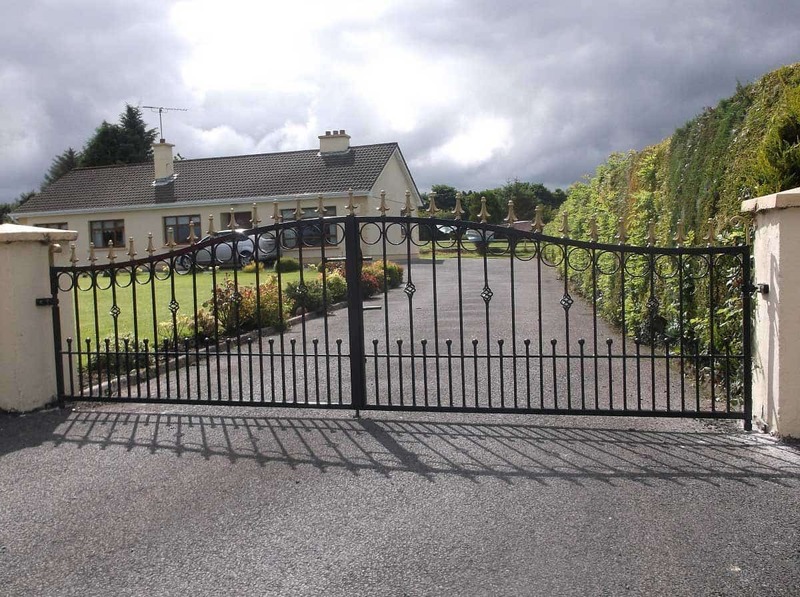 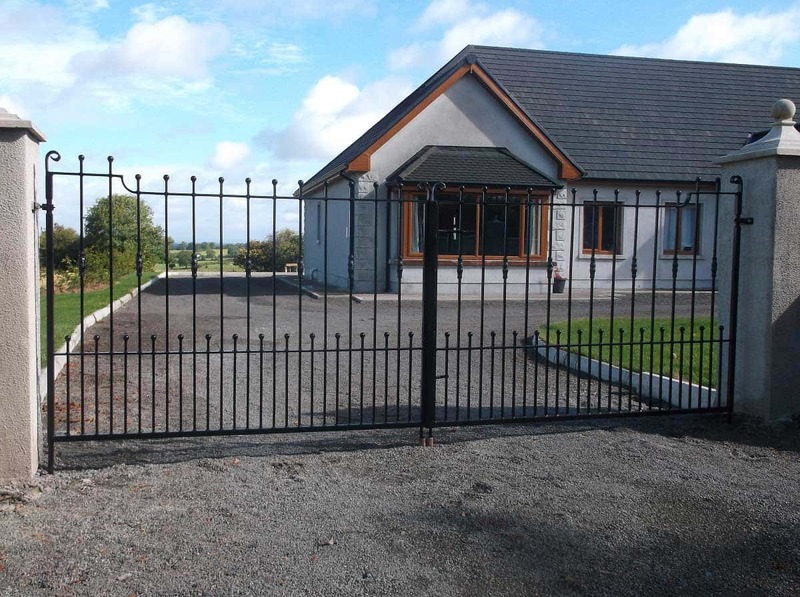 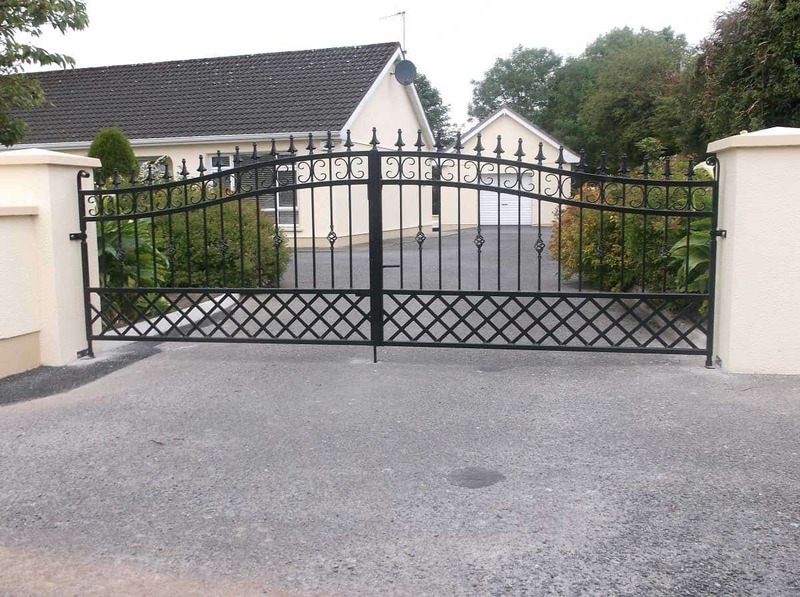 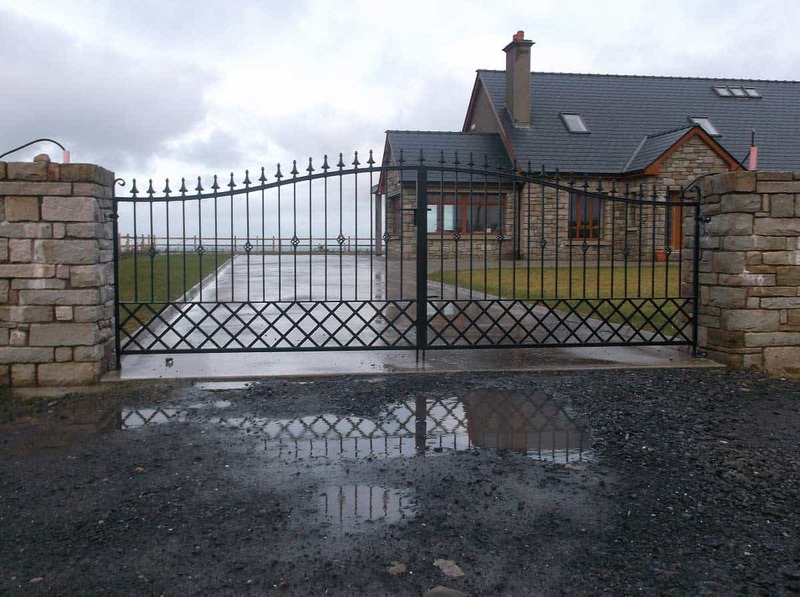 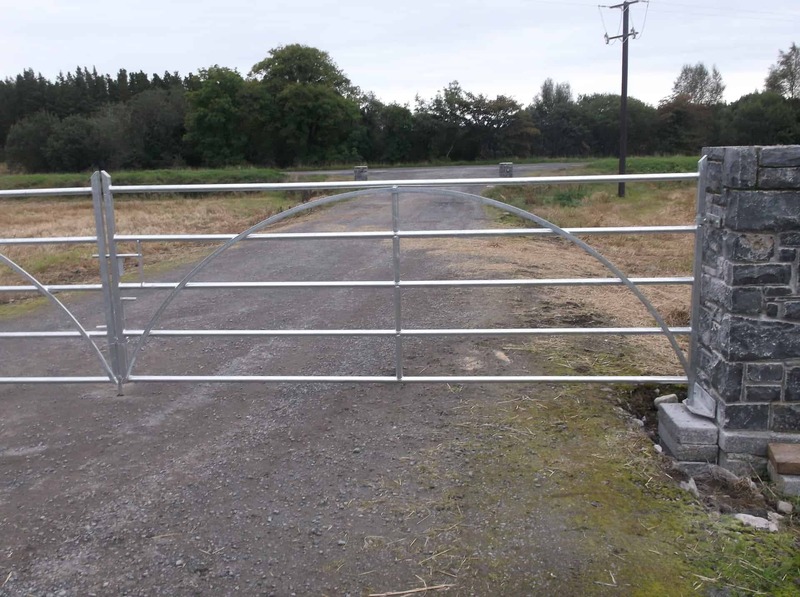 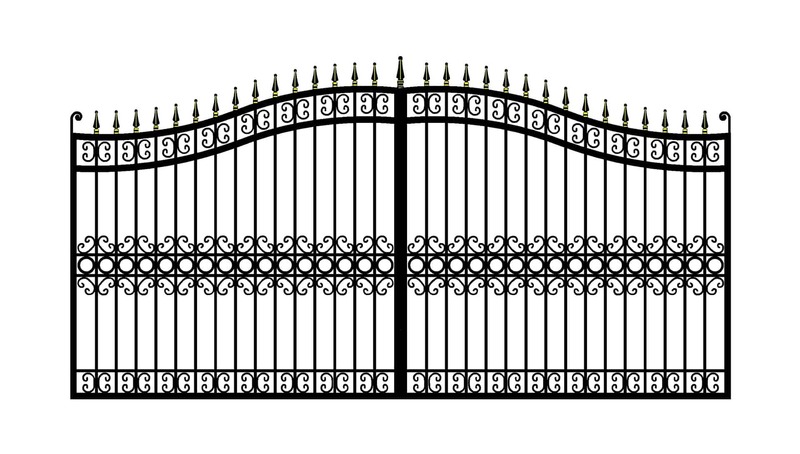 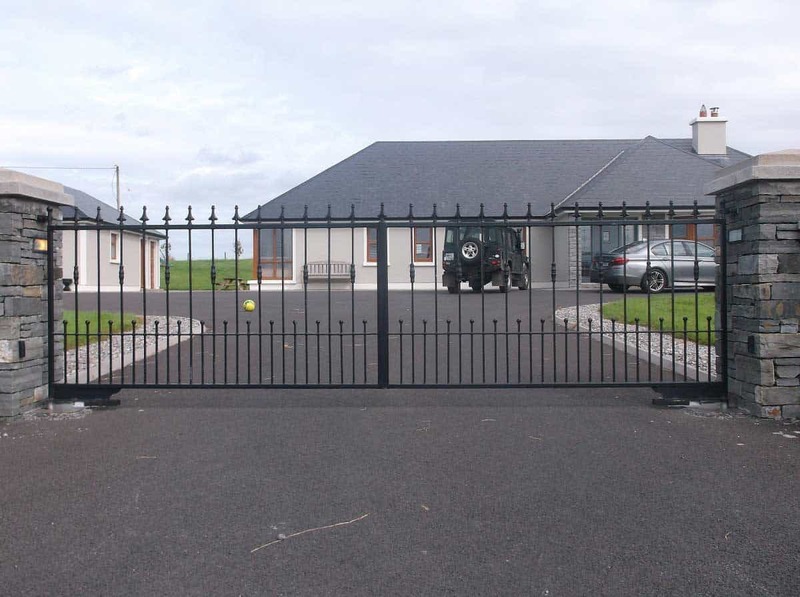 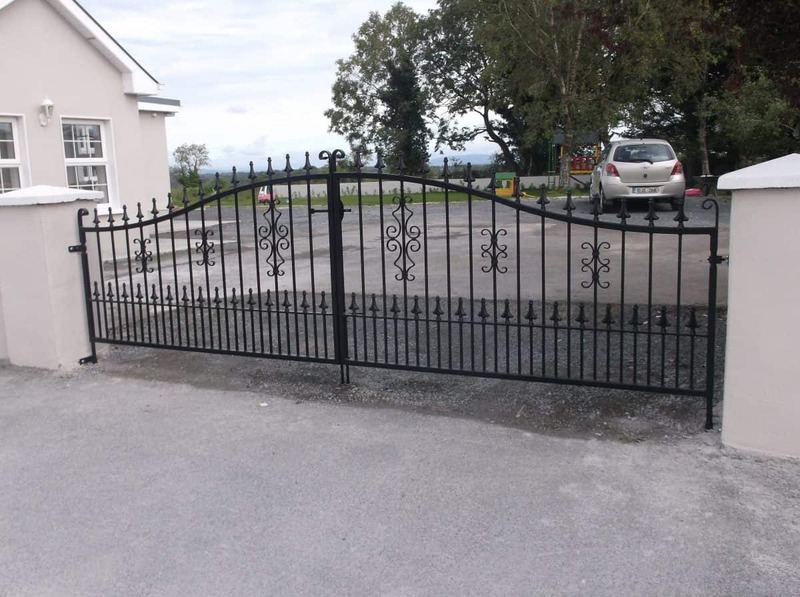 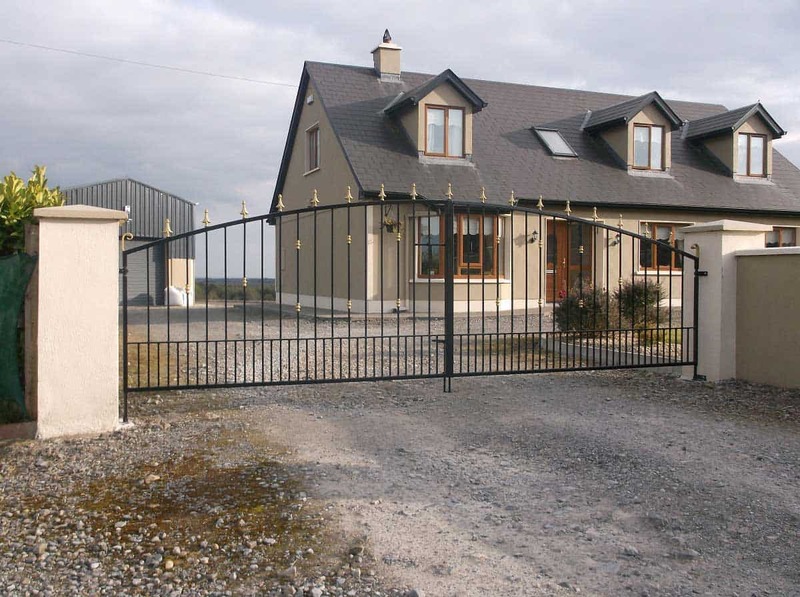 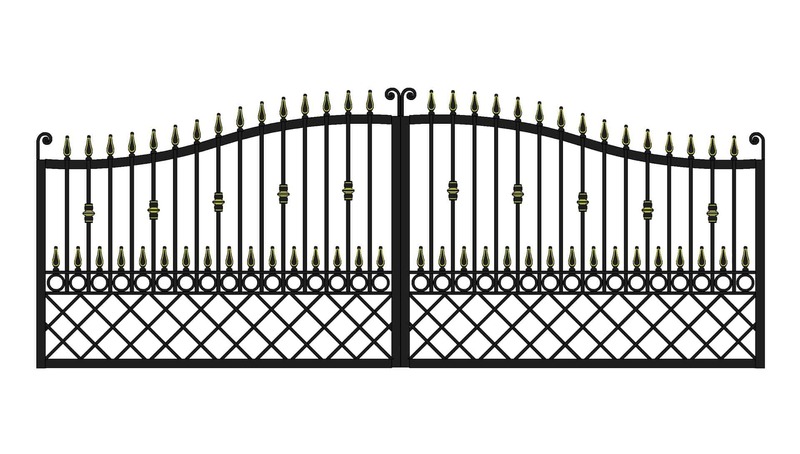 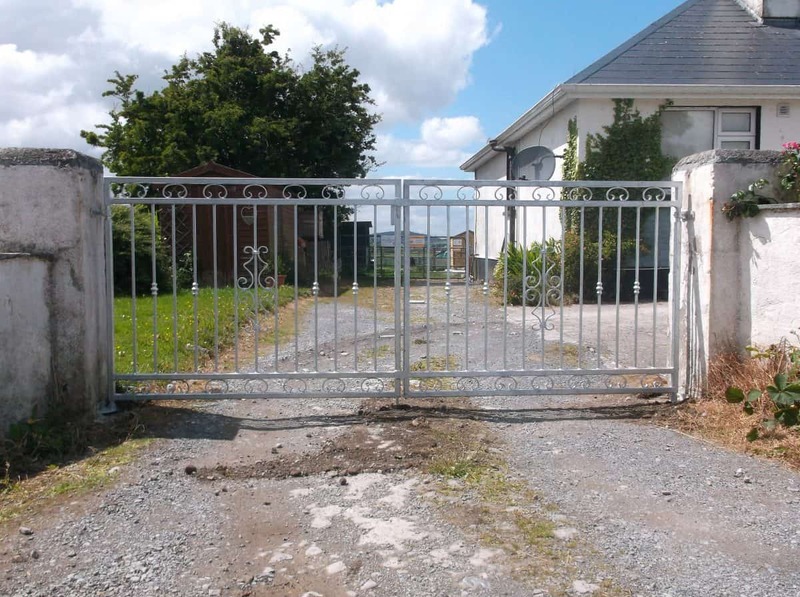 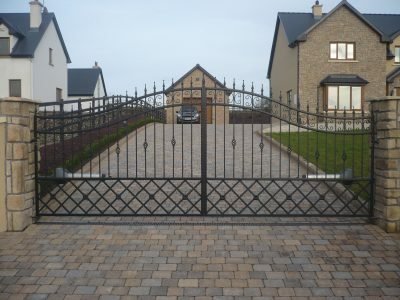 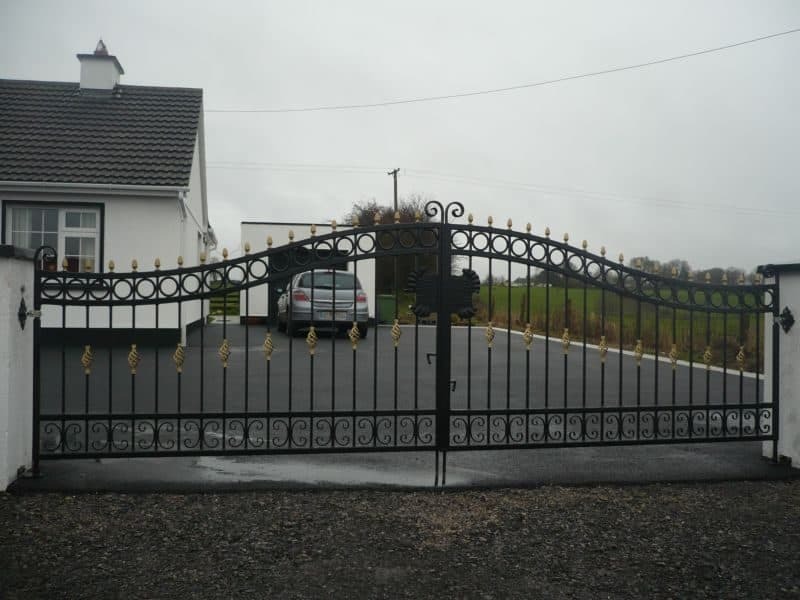 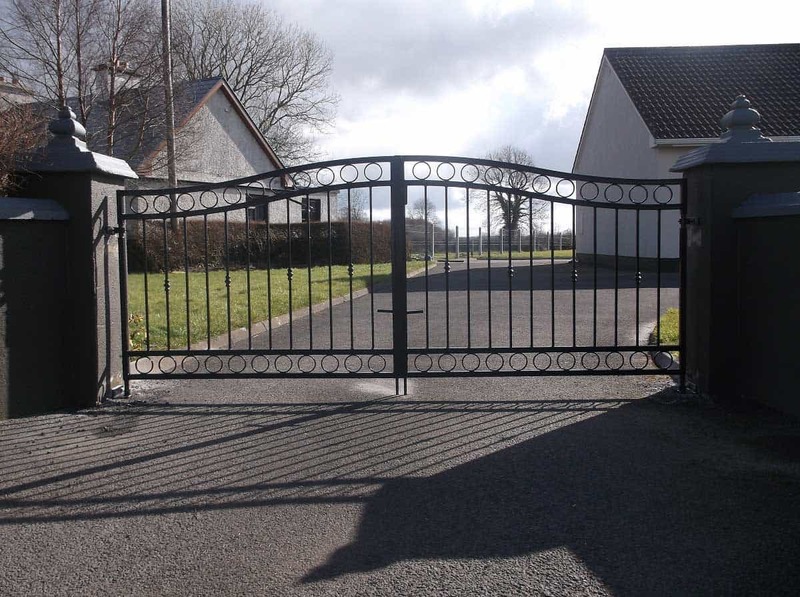 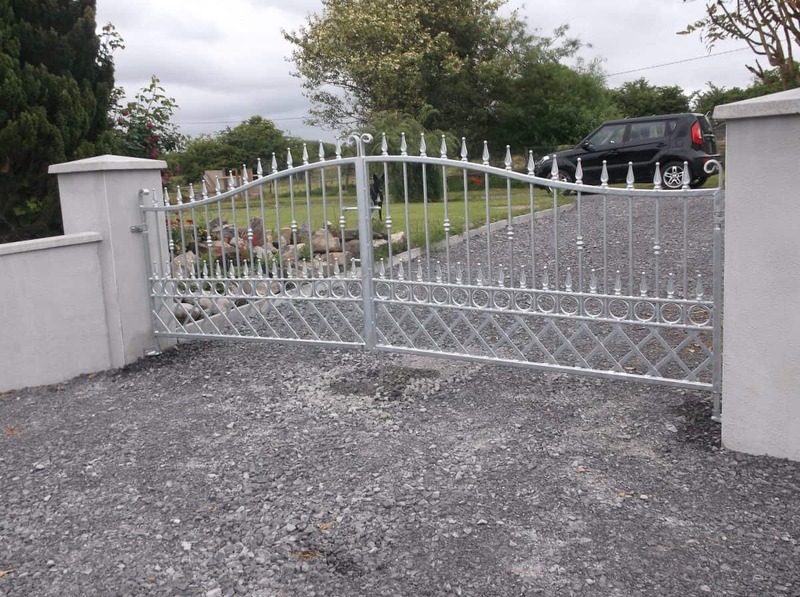 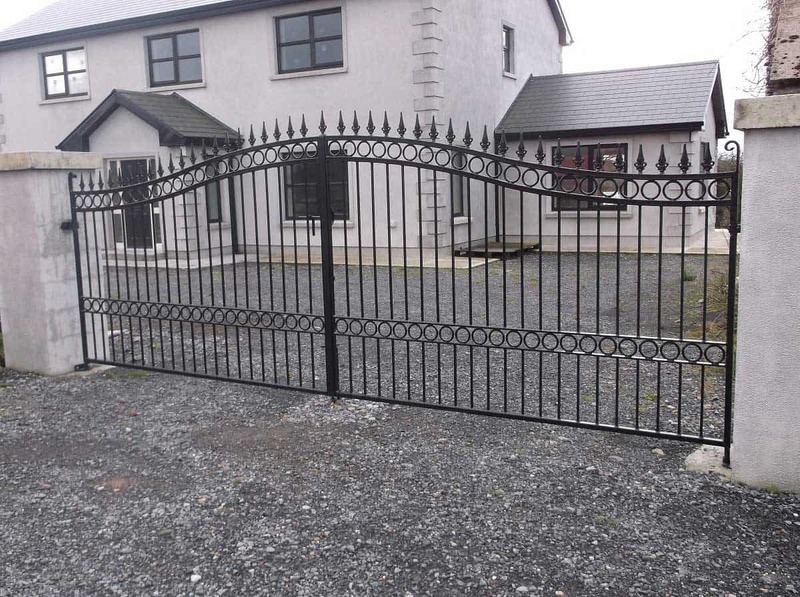 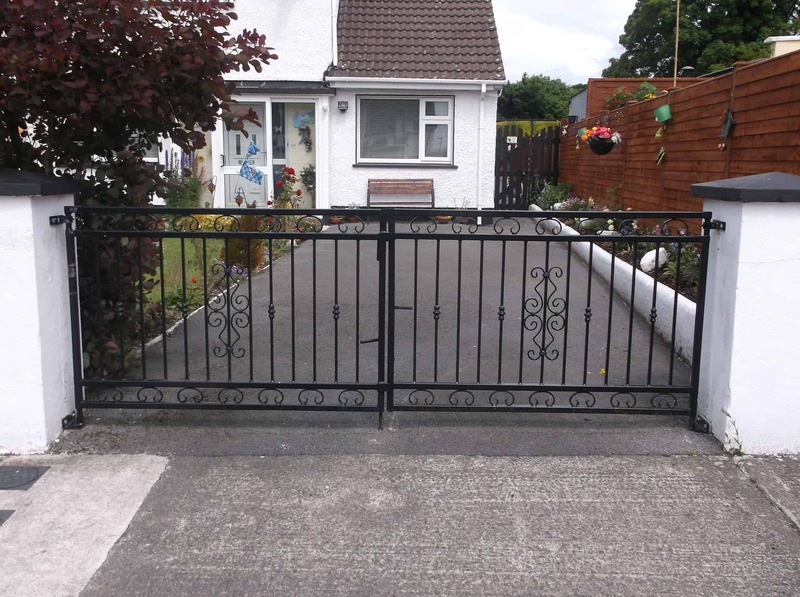 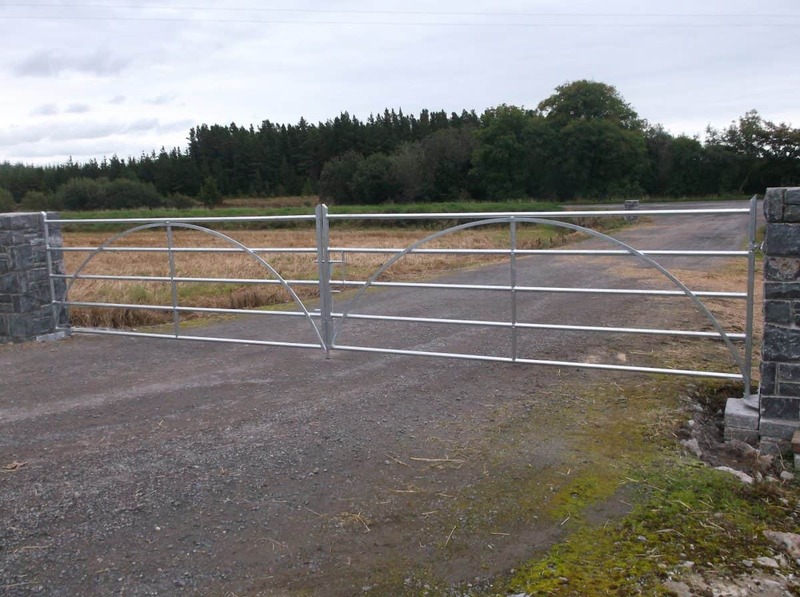 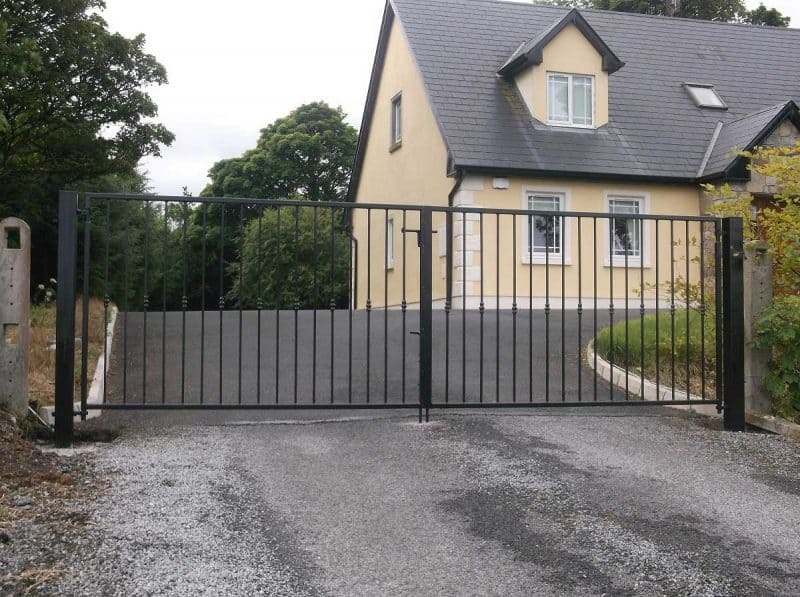 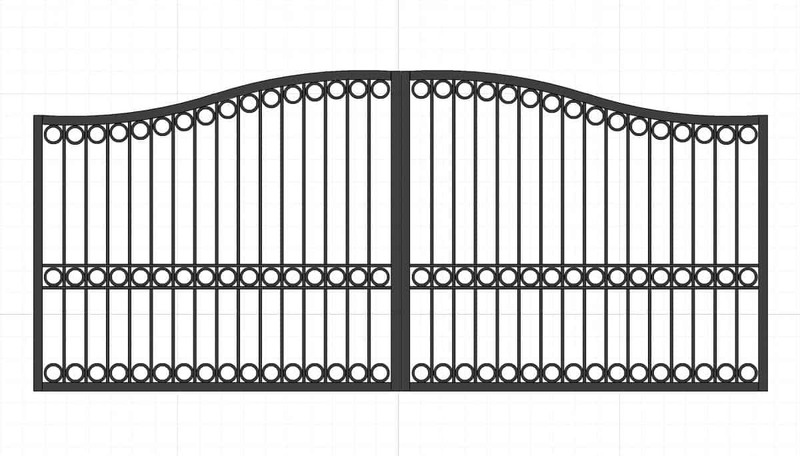 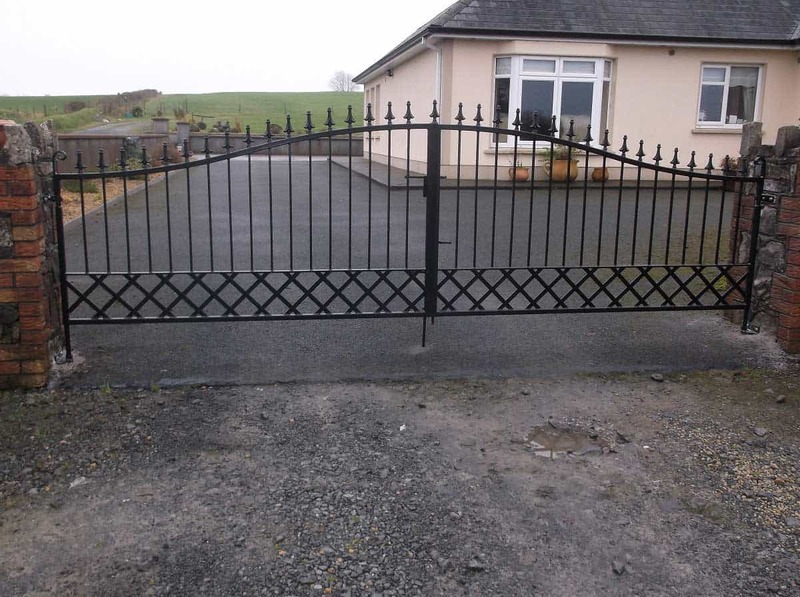 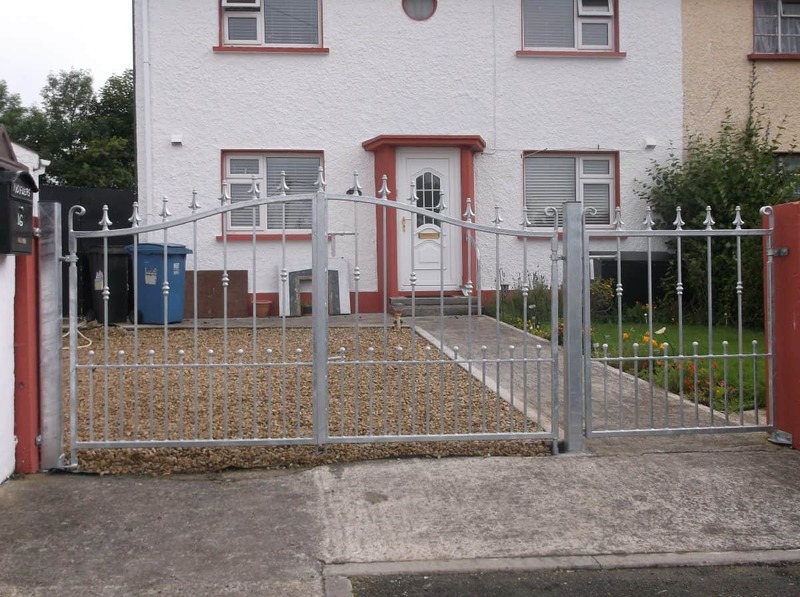 Whether you’re looking for Irish-made entrance gates, wrought iron railings or stylish garden gates, we can meet your every need. 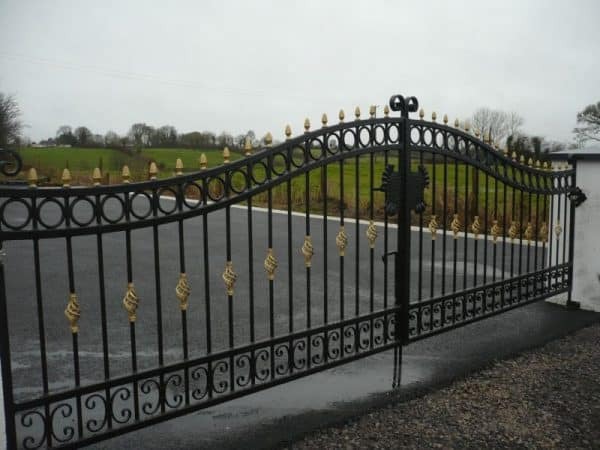 Contact us today and we’ll be happy to book your site visit or provide more details of our products and the way that we work.